Granite Cleaning & Caring Apple Valley - St Paul Granite Unlimited Inc.
One of the most important things you can do for your granite surface is to get it sealed. A sealant, sealer or impregnator protects the granite by coating it with a clear finish. Granite is naturally porous, so it will absorb liquids. This can cause it to stain or erode. Sealing it protects it. Cleaning granite is important. It helps to remove any particles, debris or spills that make your granite look dirty and worn. However, improper cleaning can do more harm. For most cleaning, all you need to do is wipe the surface down with a dampened cloth or microfiber mop. This will remove spills, dirt, dust and food particles. To disinfect your granite surface, you will need to purchase and use a granite cleaning product. 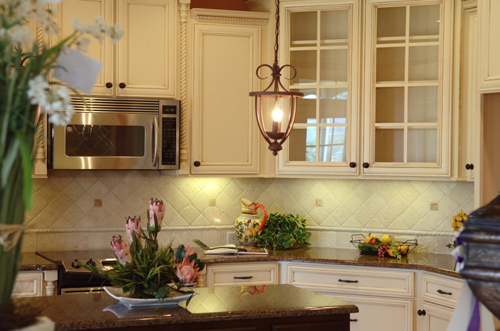 Different granite manufacturers recommend or product various granite cleaning products. Granite Unlimited, Inc can advise you which cleaners are recommended based on the type of granite you are purchasing and the granite manufacturer. Never use abrasive cleaners, such as steel wool or acidic cleaners, such as vinegar. They can scratch, etch and discolor your granite. The sealant that is placed on your granite surface typically only lasts a few years. After that, it begins to wear away due to normal use. When this happens, you need to have it resealed, to ensure the granite stays protected. The easiest way to tell if the granite needs to be resealed is by doing a water test. Sprinkle a few drops of water on the most heavily used parts of the granite surface. If the granite absorbs the water, it needs to be resealed. If the water balls up and sits on the surface, your sealer is still protecting the granite. If you are in doubt as to whether the surface needs to be sealed again, or you need to have it sealed, contact us. One of our professionals can evaluate your surface and seal it.